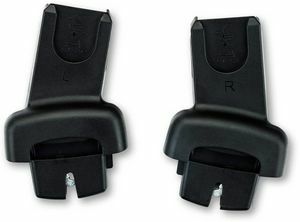 This model includes the NEW Click & Go receiver mounts! Convenient. Steers beautifully and can do so with one hand (provided you don't have too many heavy items in it). 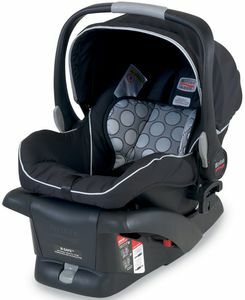 Easy to click the Britax infant car seat in and out of. The main stroller seat reclines pretty far (not completely flat)....but flat enough so that I can do a diaper change on it with my 2 month old. Storage is decent under the seat. Though, there's not an easily accessible cross bar behind the two rear wheels to step on if you want to pop-wheely the front wheels to go over a curb, so you kinda have to push down hard on the handles. My other critique is that the right rear wheel looks like it's just slightly off kilter and I've just had this for about 6 weeks. But it doesn't look like it will be a problem. I did think it'd be slightly more solid for the price (dont get me wrong, it still feels of good quality) but I suppose if the frame were much stronger/solid/heavier) you'd sacrifice how light weight and easy it is to fold and unfold. I do love how easy it is to fold up with one hand. I'm still getting the hang of unfolding it a fluid motion. The other thing I wish it did was stand up on its own when folded. It DOES fit in the trunk of my Mazda 3 hatchback (perpendicularly to the door), which was a big selling point for me! Overall love it and am happy with my purchase. 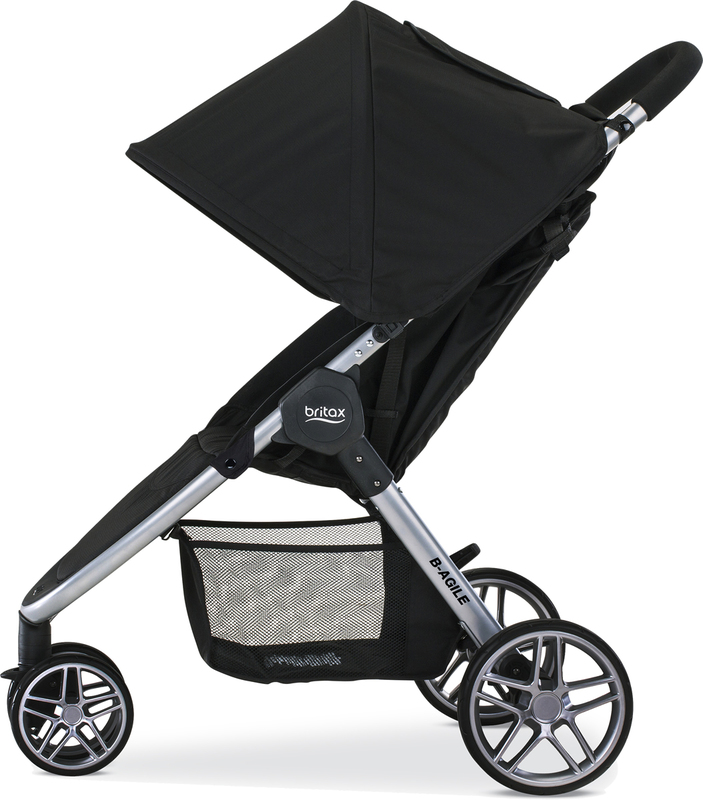 I am so happy with my Britax B Agile stroller for my little one! It's very easy to use. I am extremely happy with the Albee Baby company. I ordered my stroller and it arrived the next day! I have already recommended them several times and will be using only them in the future! 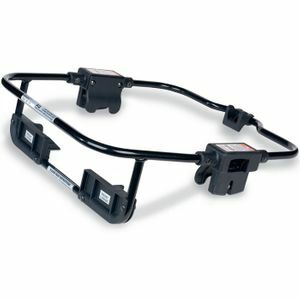 ProsLight weight and easy to use. The stroller is great! Smooth ride, baby sits high, good enough storage in the bottom. I got it because it's light and can fold with one hand... super helpful. I rated it 4 stars only because it doesn't come with a tray or a cup holder. I bought them separate, but it's still irritating. 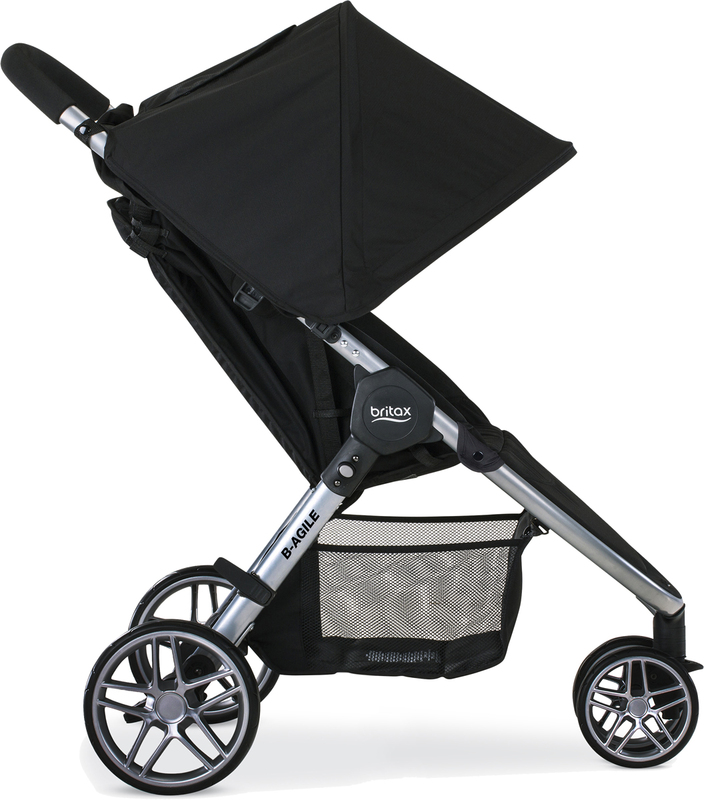 The stroller is absolutely incredible, whether you use it as a single or a double. I had the B-Agile as part of my travel system and loved it; when I had my second child, I tried out a side-by-side double stroller from another company and absolutely hated it. It took up a huge amount of space in the car, it was difficult to push and cumbersome to fold and unfold. 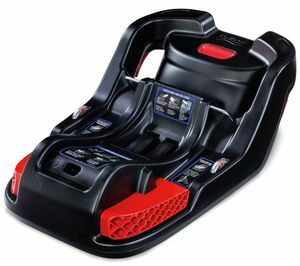 This one pushes so smoothly that my three-year-old loves to push his little brother around, and the adjustable handle height makes it easy for him to do so. Folding and collapsing is a total breeze. 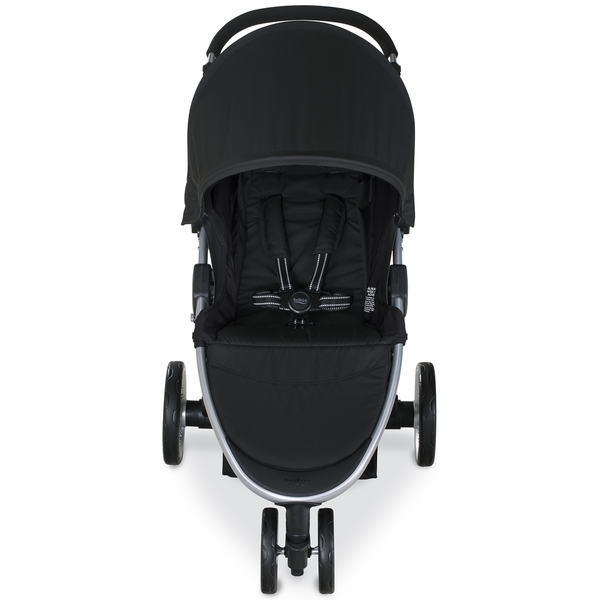 It's great that it has the footprint of a single stroller, but can convert to double stroller capabilities. I love all the different configuration options! We got the additional second seat and my six-month-old happily napped it while we were at Disney World, which was nothing short of a miraculous feat. It's extremely easy to clean too! Countless parents still have stopped us and remarked on what a smart design this is and how they've never seen anything like it. I love how much storage it has underneath and the fact that the basket has zippers on the front and both sides for you to easily access what's in the basket, regardless of whether you have the second seat attached or how low you have the foot rest on the upper seat. 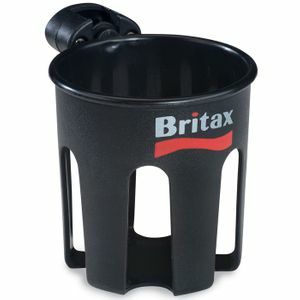 It's just such a smart design ÃÂ¢Ã¢Â¬" well done Britax! Unbelievable customer service as well. Excellent product. Budget friendly standard stroller. 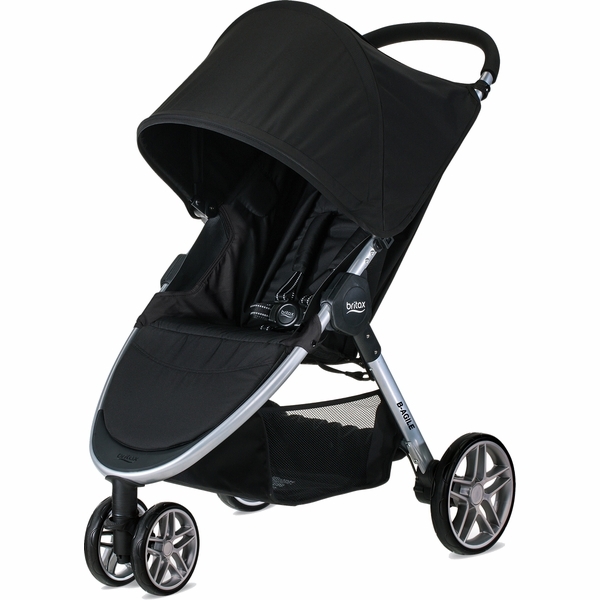 Stroller lightweight, compact and easy to push. It's easy to fold, transport and use. Great choice for the money paid. We bought this stroller with to use for our newborn and for our older child as well. 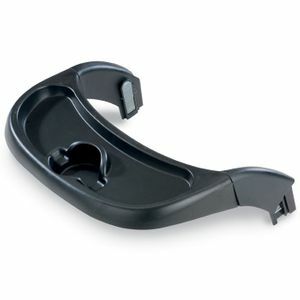 It is very durable and is easy to use with the two kids. I like how far the canopy comes down over the seat to provide good shade and the amount of storage it has is a great feature as well. the only thing I was surprised by was how heavy it is and how wide it is when folded down. Other than the weight we have loved this stroller! Compact: its not a very bulky stroller, slight upgrade from a umbrella stroller, for the same price as the Maclaren Xt, rather get thisNonadjustable handle bar: problematic if you are tallStorage: nice size, but you will have a hard time mounting a side saddle bag if you want extra storageAcessories sold separately: like all britax stroller models, rain covers and belly bar is not included. Depends on the brand, maclaren will give you a rain cover and a wrist strap. We have had the B-Agile 3 and 35 Car seat and stroller and couldn't be happier. 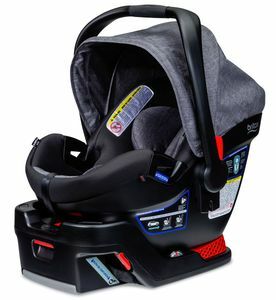 When the car seat was recalled for the arm bar, Britax handled my claim in minutes and made the process of returning the old one along with receiving my replacement seamless. 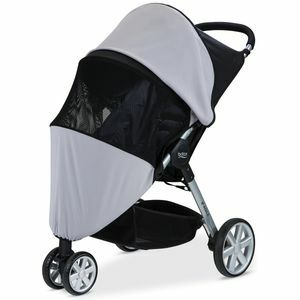 I just had my first issue with the stroller and again, Britax customer service was unbelievably helpful and considerate. The last thing you want to deal with when you have a tiny child is difficult customer service so invest in the peace of mind that Britax stands behind their products! My wife & I love our Britax Stroller, given the 'ease of use'. From the time our son was born, we appreciated the portability of the stroller, along with the functionality of the carseat adapter system. Also, it has proven to be durable, as we have used it for almost 2 years with very little 'wear & tear'. I liked the stroller It just didn't last very long. My son is only 2 1/2 and it is falling apart. We are not rough on it. In fact we don't even use it that much. The foot rest snapped right off .I was hoping to get more use out of it. I love everything about this stroller except the weight. It's too heavy for everyday use...hard to get in & out of the trunk. I ended up saving this one for trips or outings & just using my b-agile. I receive the stroller as a gift from my baby shower; since my baby was born I was using the stroller, very light weight and easy to opened. My son has 2 and 1/2 and I still using it all the time. Specially in all the travel outside the country. Very comfortable and the only thing that I will change is they need to be more able to be fit the back at 90 degree. They fit the back at 70 degree. 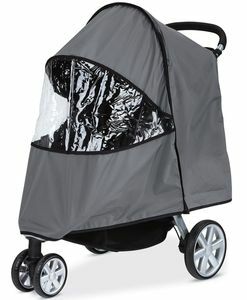 I bought the b ready stroller for my son and daughter in law with a 1 year old boy and expecting their second baby boy. I love the features of this stroller . 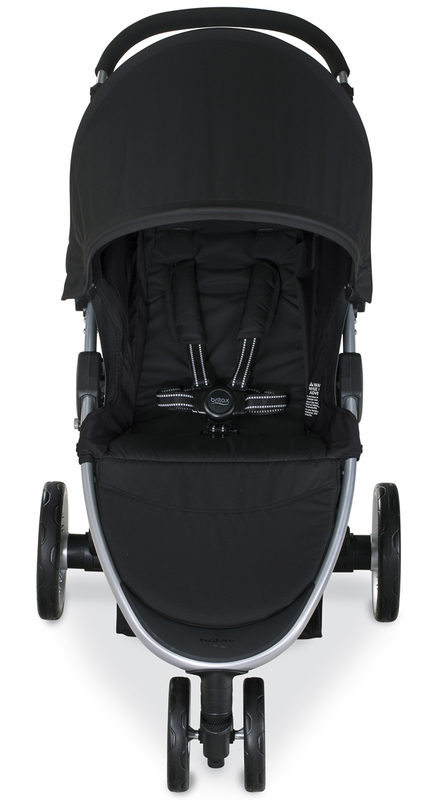 It can be a single or double stroller and many configurations . 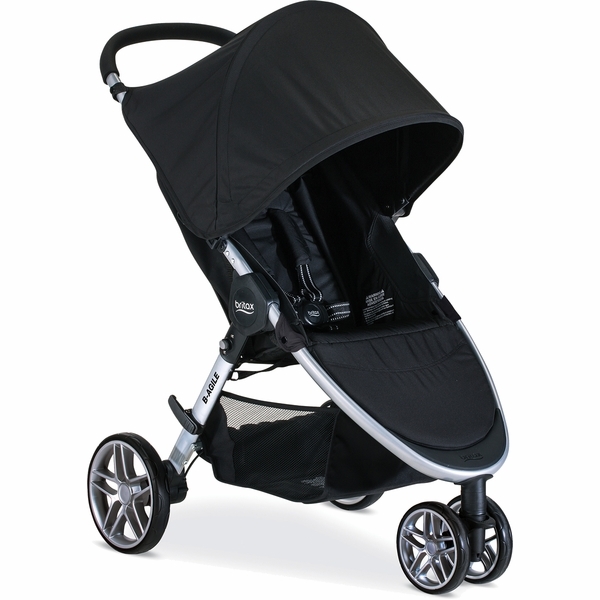 The high quality of the b ready stroller safety features and trust I have for Britax . I highly recommend this stroller. As parents they are using the stroller now as a single stroller and feel very ready to have the double stroller features as new baby comes. I bought this stroller 5 years ago when my 1st grandchild was born, and I did alot of research before I chose the Britax B ready stroller. Five grandchildren later, it performs as well as it did when I got it & I have had no issues with it. I chose this stroller for the ease of steering, and the sturdiness. I wanted something that would convert to a double stroller but wasn't a double wide stroller. I have bought both the skateboard and sling seat accessories. I like the sling seat the best because I am short and found the skateboard awkward, but only because of my height. The sling seat is great & my 3 & 4 yr old grandchildren often argue over who gets to ride in it! Even fully loaded with 2 children, diaper bag hooked to it & pkgs in the large basket underneath, I can still steer this stroller with ONE hand! 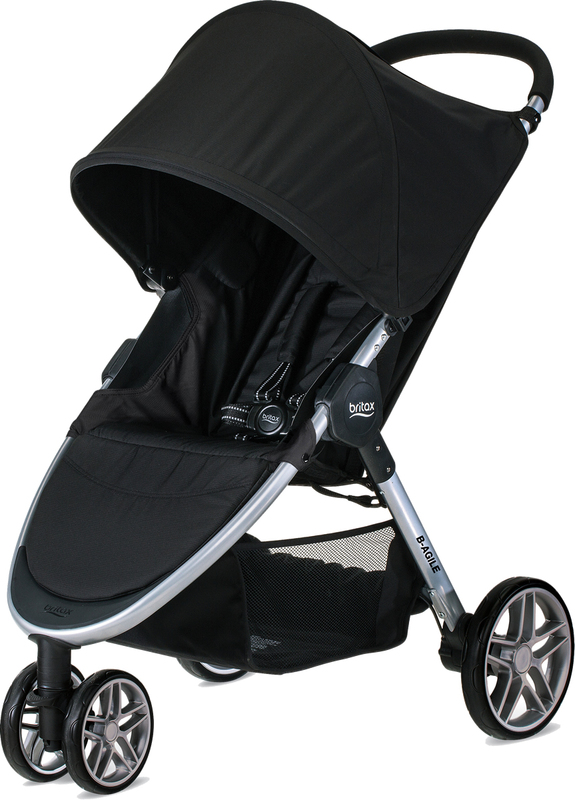 It is an amazing stroller & the handlebar adjusts to fit short or tall people. In the lowest position, toddlers that aren't riding in the stroller can reach it. I transport 5 grandchildren ages 1-5 in & out of preschool, while keeping everyone safe in the parking lot! It is a little heavy, but it is worth it to have a secure stroller that will be stable and easy to push loaded with kids and all the stuff that goes with them! It folds easily & will stand independently when folded. It has a great sunshade and the seat will flip to be rear of forward facing. 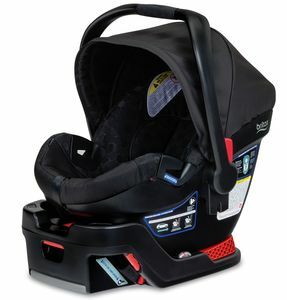 It will also remove and the Britax infant carseat will click in it's place! Great for sleeping babies! 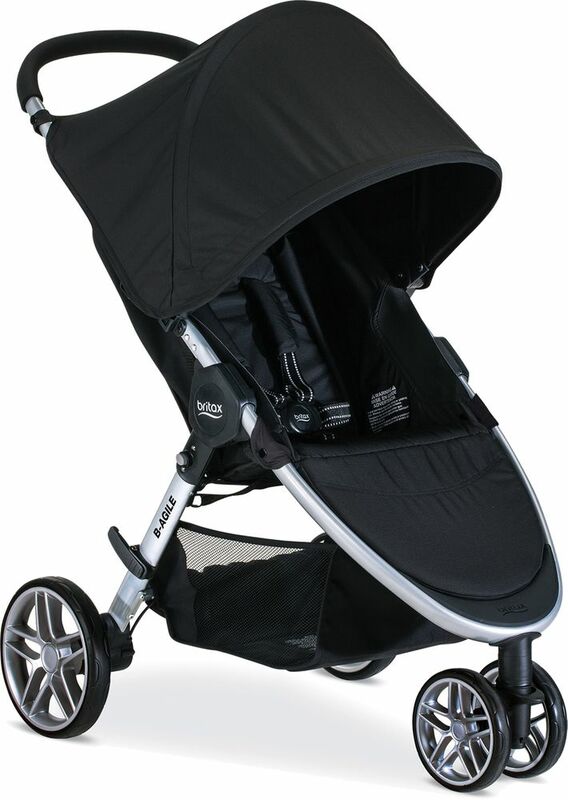 It also comes with a zippered bag with two bottle holders that attaches to the stroller with velcro. 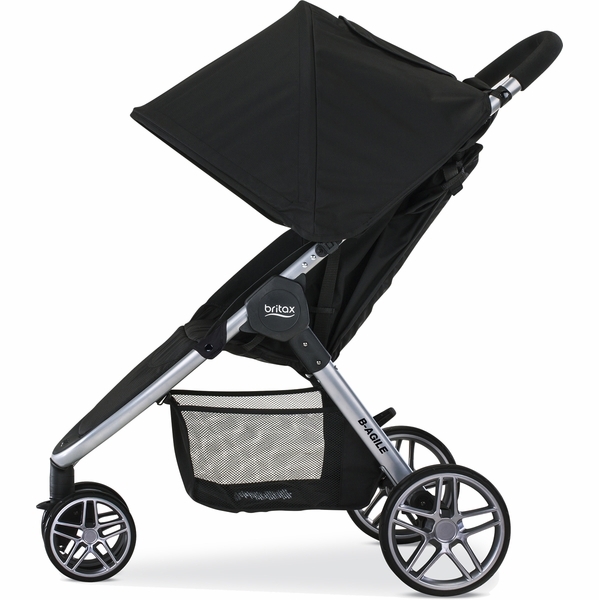 It is a great stroller & I am still happy with my purchase! I really enjoy the ease of use and light weight. I have 3 strollers and this is the one I use most. 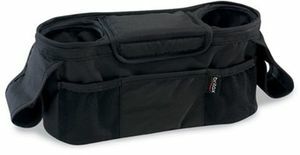 It folds up nice and I am able to fit it in my trunk without a problem. The material is easy enough to wash if needed. Occasionally I've had trouble steering but it's every blue moon. We got 3 years ago the Britax B-Agile for our first baby. It was a great one but just for one baby. This year when we got our second baby, we had to get another stroller. 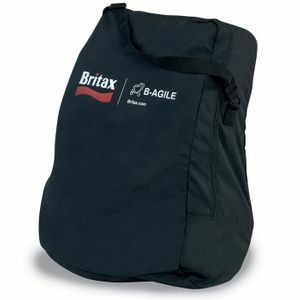 As we were comfortable with Britax, so we searched and found the Britax B-Ready. We got it and it's by all means amazing product. We regret that we didn't get the B-Ready from the first time. I bought this to go along with the infant car seat. It is hard to maneuver it from side to side using two hands, and especially using one. There is no cup holder! no tray! and it's pretty pricey so you would think that is included! the good thing is it's easy to fold and open and you can purchase a skateboard attachment for your older children to go at your pace. Great push, easy to use, light, compact, and sleek! 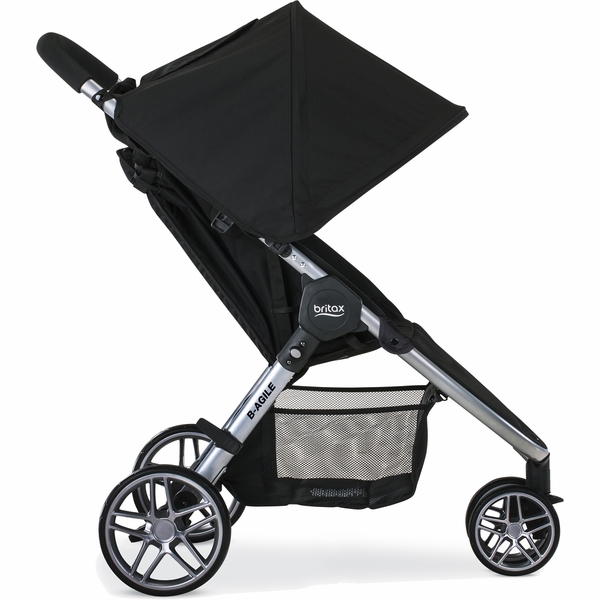 The one-hand fold design easilycloses the stroller in seconds, and the lightweight aluminum frame makes it easy to carry. Please note that this is a 2017 model and not part of the February 2017 Britax recall.